A thorough introduction to nursing as a profession, this 4th edition updates an always-popular text. The book starts with the history of nursing and its coming of age, and goes on to discuss professional socialization. 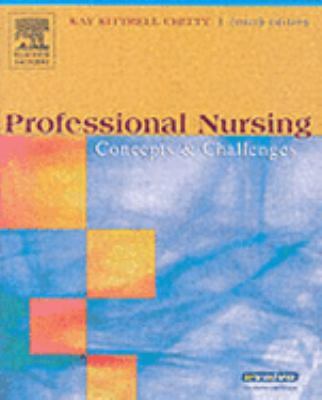 Written by Kay Chitty along with other expert contributors, it examines the theories surrounding the profession including role definition, major concepts in the field, finance, culture, the health care delivery system, and the challenges facing nurses in the future.Chitty, Kay Kittrell is the author of 'Professional Nursing Concepts and Challenges', published 0014 under ISBN 9780721606958 and ISBN 0721606954.